A quality beer deserves a quality host, with the growler bottles your beer is guaranteed a suitable home. It’s a large format refillable bottle that’s been designed to maintain peak quality freshness for weeks after it’s been filled. Consumption of the beverage should, however, be done within 24 hours of opening the cap. 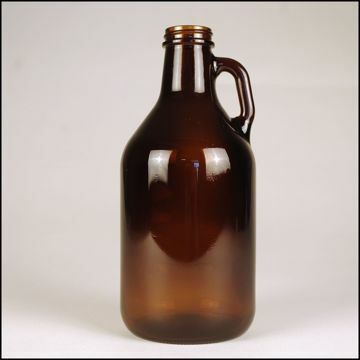 The growler bottles are often used by pubs in order for the patrons to take their beverage home and return at a later date for a refill. When it comes to beer, you don’t want to sacrifice the experience or taste and the growler bottles ensures that you can escape into the brilliant world of beer without any added obstacles! Buy growlers from us at Brand Concepts in order to guarantee the highest quality experience and customer service today! What is a beer growler and why should I buy them? 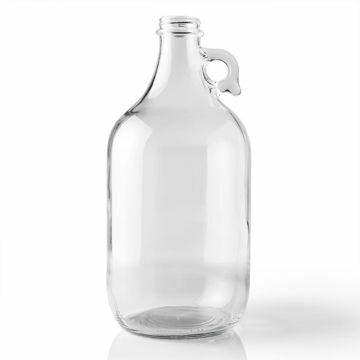 The growler is a glass jug, the most popular size it comes in is 64oz, but it is also offered in 32oz - it is recommended that you buy according to your business needs, otherwise you risk forfeiting the extra freshness provided by the jug. It comes in two color variants, clear and amber. Amber is the most popular and the highly recommended variant as the amber helps protect the beer from light, which is bad for beer. This also presents you with the opportunity to create an exclusive club, wherein members are granted special privileges and subsequently further engage with your brand by visiting your brewery, pub or restaurant with increased frequency. It was crafted in 1989 by the Otto Brothers in Wilson, Wyoming. It has over the years become a staple of craft beers and their unique flair. The term originated many years ago in the 19th century, in a time when one would bring fresh beer home in a galvanized pail. This process and the subsequent release of CO2 created a sound that bore resemblance to a growl. 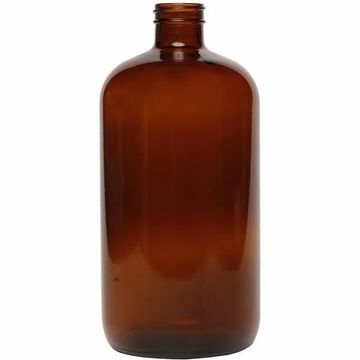 Today, we can provide you with the best growler bottles, a great choice for your customers and your business! The bottle also provides a number of other benefits to your business. The first being a cheaper cost of doing business, as this type of bottle is cheaper. The reasoning behind this is that there is no additional packaging, bottling, selling or shipping costs to raise the price. The second reason is that it encourages customers to return them, which in turn drives repeat business from an existing clientele. Finally, it gives your business a great opportunity to sell seasonal or special one-off beers that you only have available in kegs without needing to bottle or can them in-line. Thus keeping both you and your client happy with the service as well as the cost. I’m sold! Now where to buy the growlers? So you’ve decided the growler is the right fit for you and you don’t know where to get them from! You’re in luck, here at Brand Concepts we offer a wide variety of containers for beer - including a large selection of growlers masterfully crafted that are customized to your business needs in our 18,000 square foot state-of-the-art facility. Contact us today to buy growlers for your business and find out how we can help you reach the pinnacle of beer perfection! A growler deserves the perfect bar accessories, stop by our accessories section and check out how you can enhance your collection. If you're also looking for the perfect warm beverage selection, you've come to the right place - check out our selection today!